(Brazil) We have received the news of another tragedy instigated by Vale mining company with profound indignation. 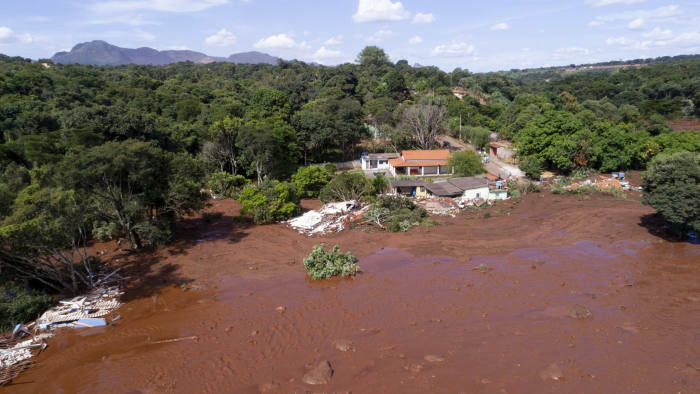 This afternoon (January 25, 2019) two tailings dams located in the Corrego de Feijao community, in Brumadinho, metropolitan region of Belo Horizone [state capital of Minas Gerais) have breached. We do not yet have information about the number of victims, but, according to reports, there were about 1000 people in the company dining room, now covered with tailings, at the time of the disaster. There are reports about the spill of toxic materials into the Paraopeba River, an affluent of the Sao Francisco River. The full dimensions of the disaster cannot yet be determined. In recent years, the Articulation of People Affected by Vale has been protesting at Vale's Annual General Meeting of shareholders, alerting the company to the dangers of reducing costs and expenses in its operations, thereby expanded the risks of incidents such as the disaster that happened in Mariana in 2015 and today in Brumadinho. The company, however, changed nothing. You cannot say that the breach in the dam that occurred today was not anticipated or expected. Despite the warnings, Vale did nothing but continue mining and increasing its profits. Brumadinho is located 149 km from Mariana, epicentre of the Fundao dam breach (Samarco/Vale/BHP Billiton) that took the lives of 19 people and affected thousands in the Rio Doce river basin. These people continue to suffer up to today because of Vale's neglect. The company neither compensates them nor does it recognize the rights of those impacted. And now, Vale once again figures in a new social and environmental tragedy. There is an urgent need for Brazilian state authorities to assume their responsibilities and initiate a rapid, impartial and effective investigation so that cases like this do not recur. In addition the Brazilian federal government should promote inspections of all of the tailings storage facilities in the country, so that we can avoid new breaches and tragedies. We stand in solidarity with all the men and women affected and shout out once again: This was no accident!